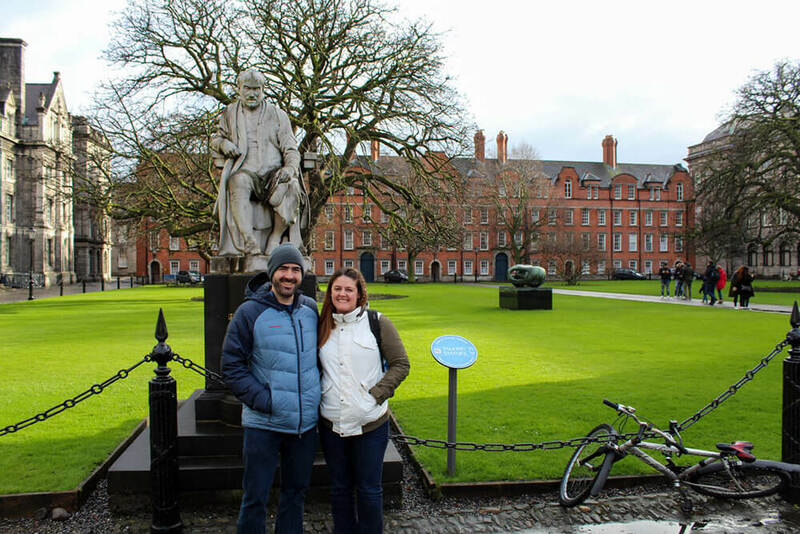 We fell in love with Dublin from the moment we landed. It has everything we like in a city- incredible history, friendly people, a fun atmosphere and booze, lots of booze. It’s one of the few places we’ve been to where we actually felt like we could live. 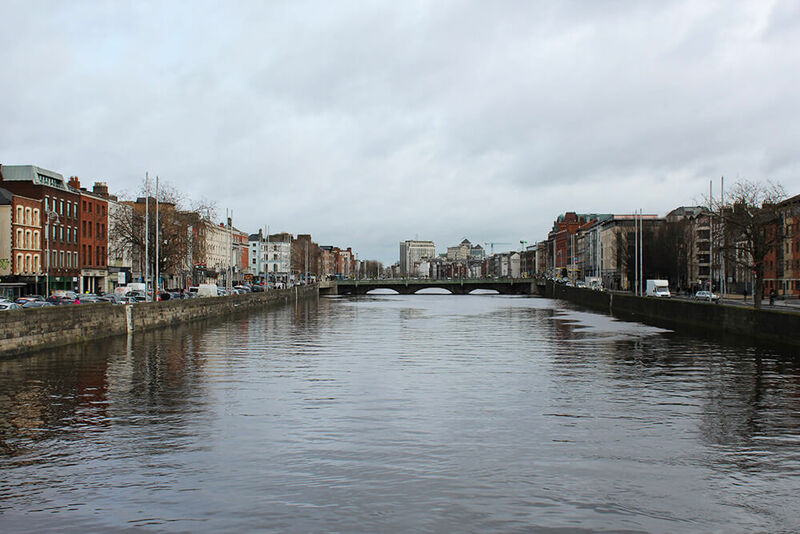 If you’re lucky enough to take a trip to Dublin, here are a few things we recommend doing and checking out. 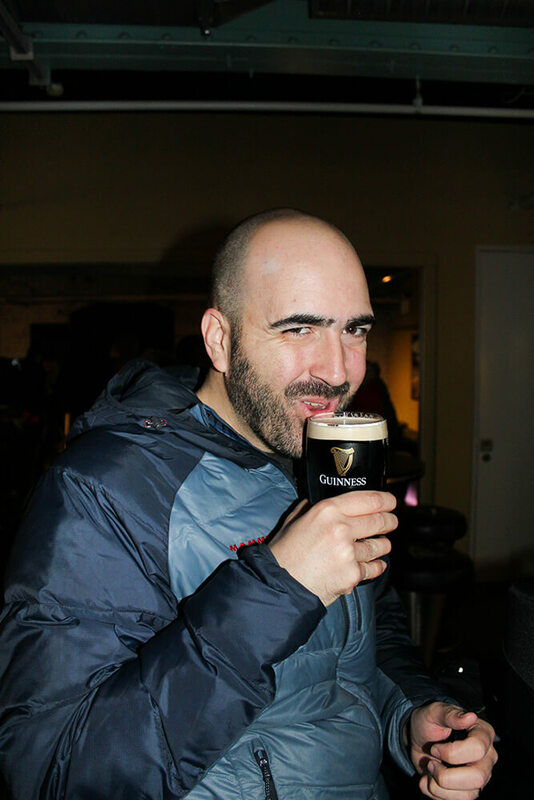 I wasn’t really sure what to expect from the Guinness Storehouse. 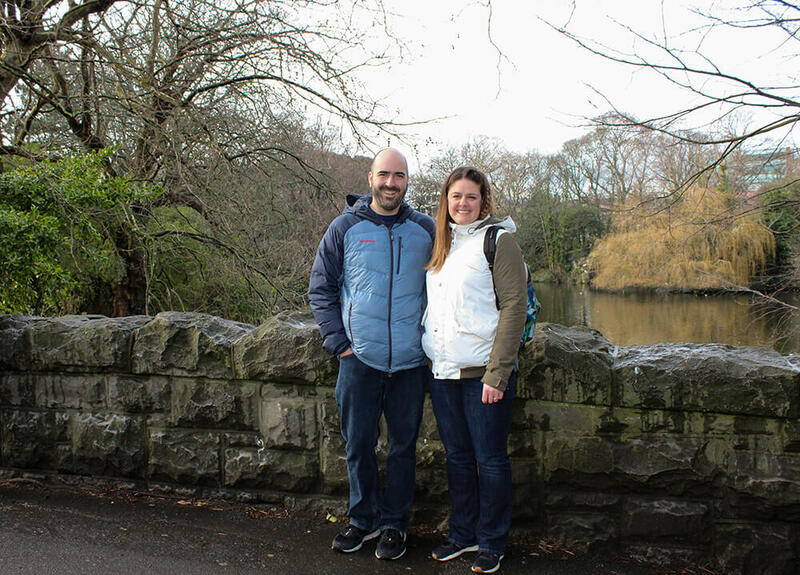 Since every travel guide, video and blog on Dublin mentions going, I was a little worried it was going to be a tourist trap, but I was pleasantly surprised. We ended up spending a few hours here because there was so much to see and do. 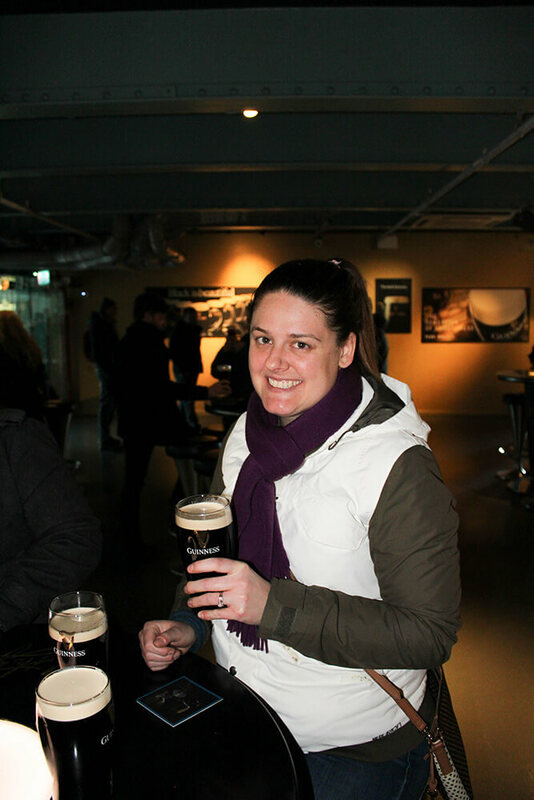 You get to read about the history of Guinness and how it’s made, learn to pour the perfect pint and see 360 degree views of Dublin at the top of the observation deck. They also have a really nice cafe if you get hungry. Overall, it was a great experience and something you really have to see when you come here. 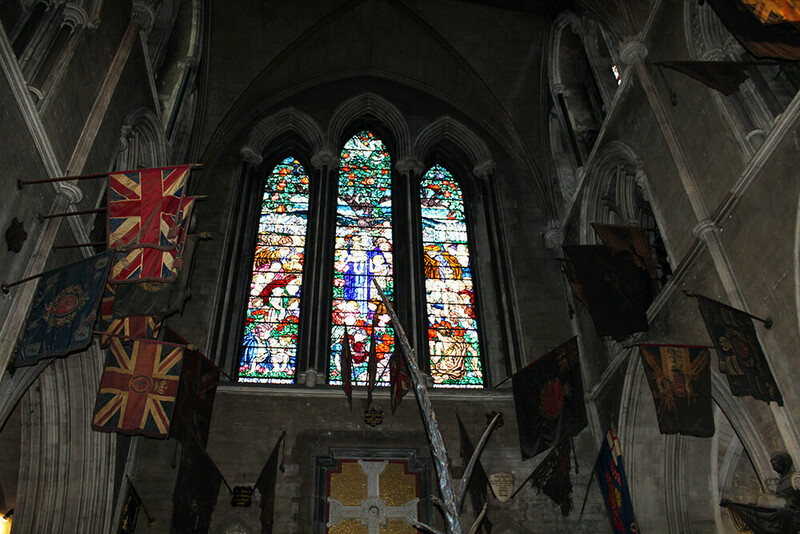 There are a lot of really amazing churches in Dublin, but the Christchurch Cathedral was the most impressive. 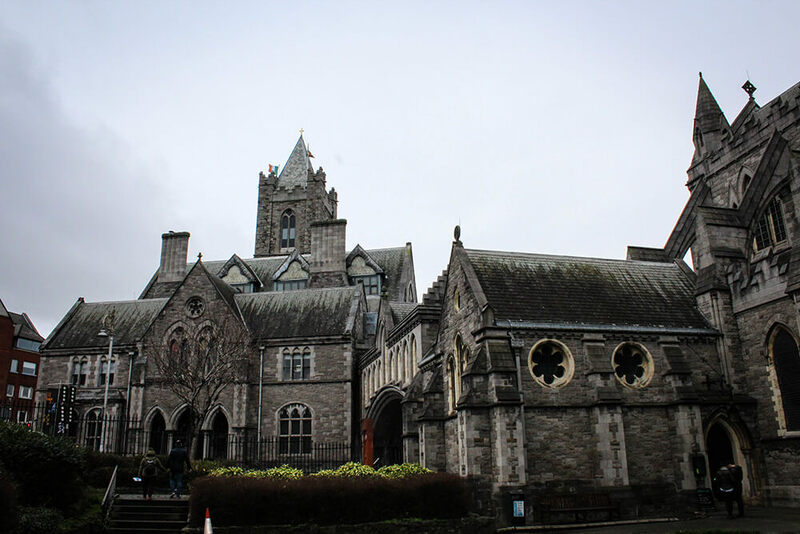 Founded in 1028, Christchurch is one of Dublin’s top tourist attractions, and for good reason. The architecture is absolutely stunning, both inside and out. 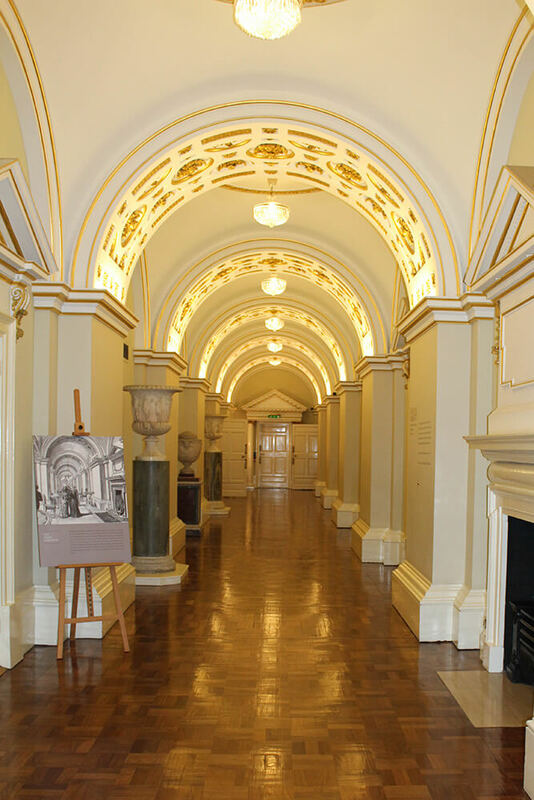 As you walk through, you can really feel the history of the place. Below the cathedral is the largest crypt in Ireland, which houses medieval era silver and the mummified cat and the rat, mentioned in Finnegan’s Wake by James Joyce. The Dublin Castle was a fascinating tour. Originally developed as a medieval fortress under English rule, it now serves as a government building. 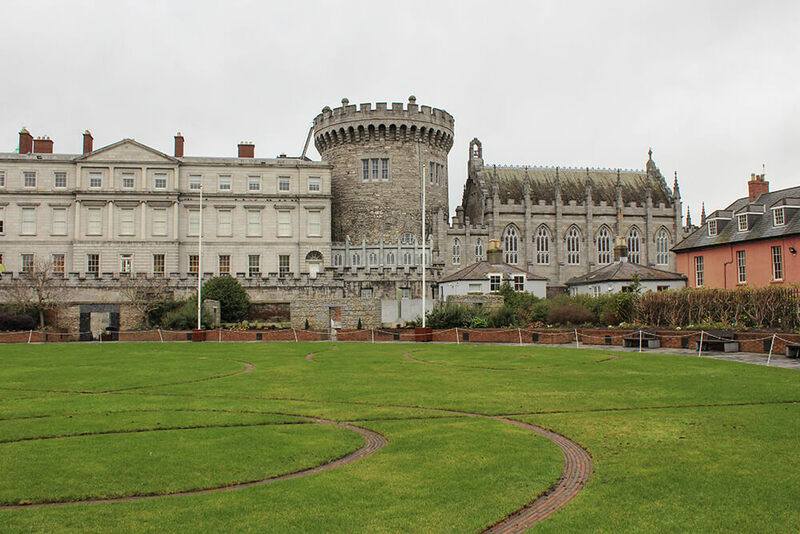 Walking through the castle, you’ll learn a lot about the history of Dublin and the many pivotal events that took place here. 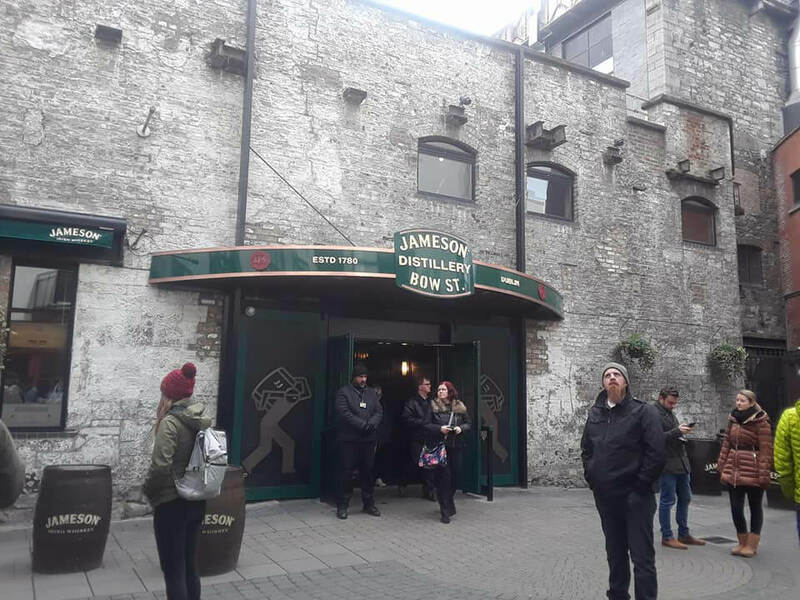 The Jameson Distillery is another historical gem in Dublin and a great place to spend a few hours. We’ve been to a lot of different distilleries and we found this tour to be one of the most informative. You’ll learn about the history of the company and taste several varieties of whiskey at the end. A tour ticket also includes one free cocktail, so you’ll definitely want to make sure you have a ride in place before you leave! 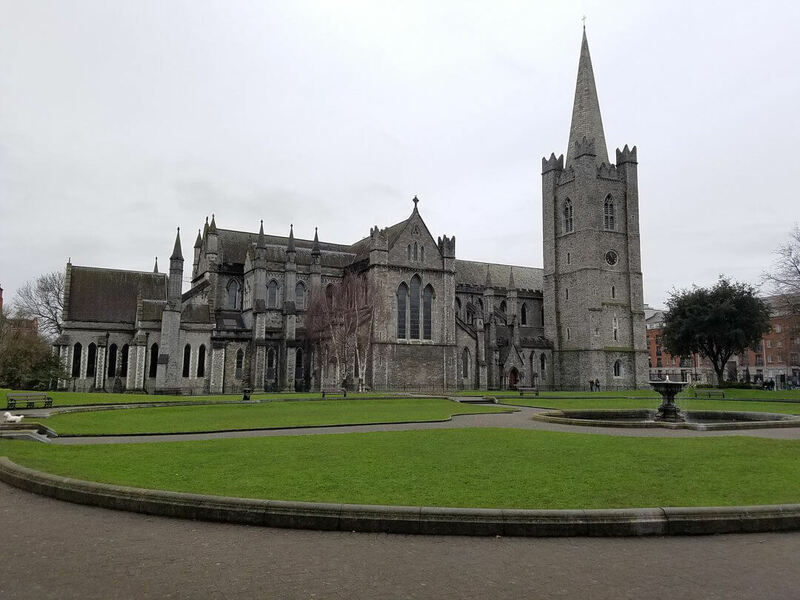 St. Patrick’s Cathedral is both the tallest and the largest church in Ireland and another architectural masterpiece. 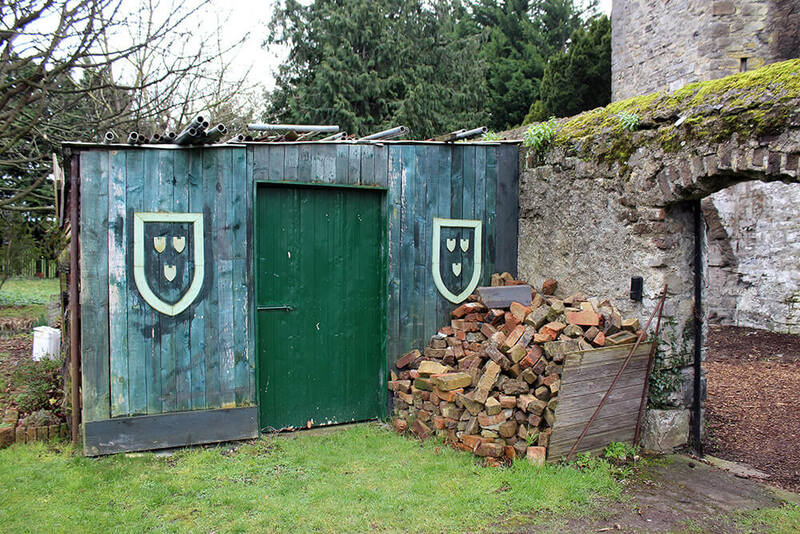 Founded in 1191, it’s another place where you can learn a lot about the history of Ireland. 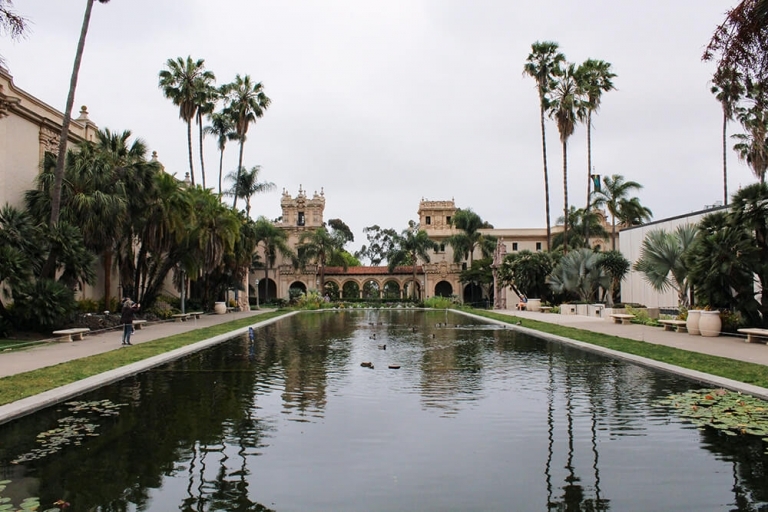 The grounds are are a stunning reminder of gothic architecture in a modern city. Dublin is definitely a party town. 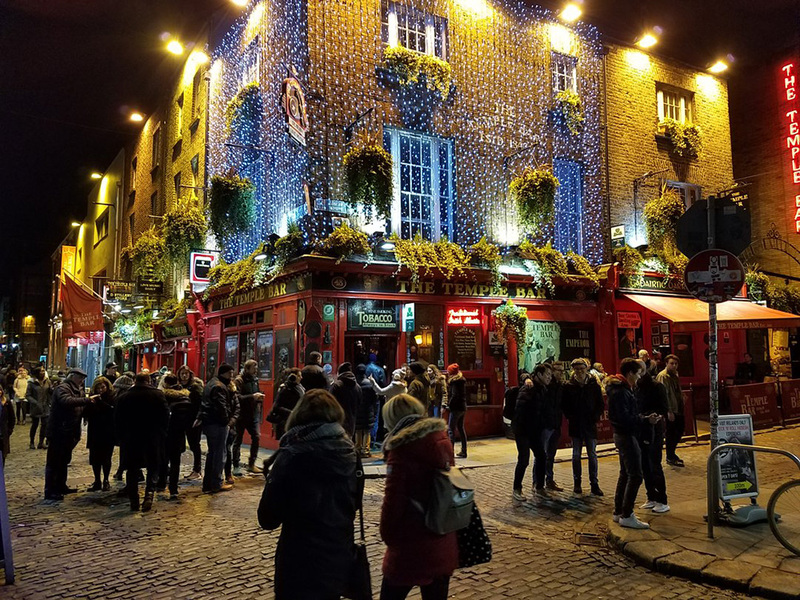 You can order a drink pretty much anywhere you go, but if you really want to experience Dublin check out the local pubs. Grab a few pints, some traditional Irish food (the lamb stew is delicious) and listen to the bands playing traditional Irish music. This was by far our favorite part of our trip. 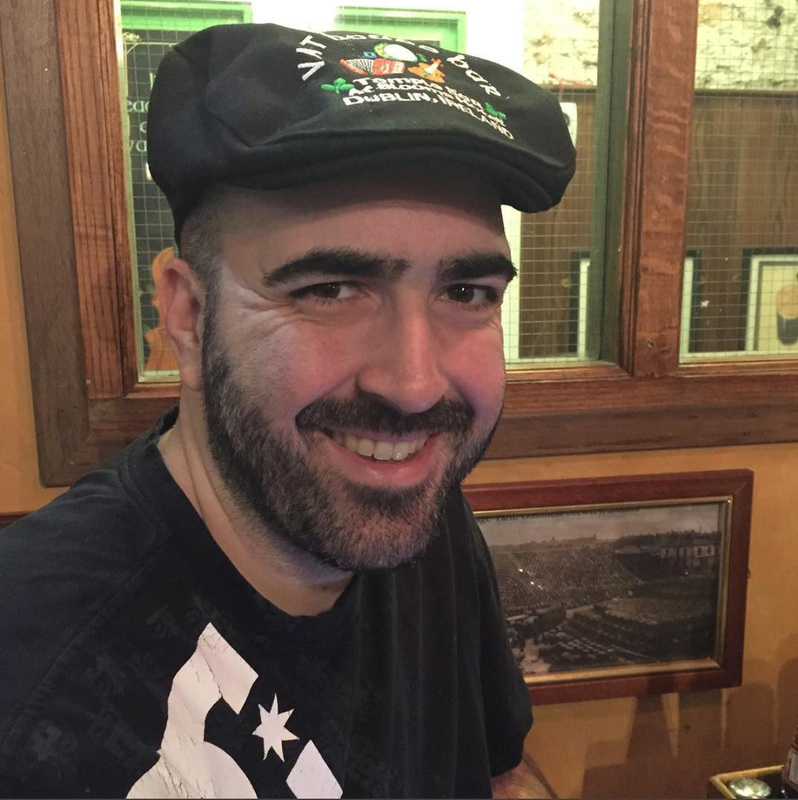 Our hotel was located right next to a pub that played Irish music every night. A few nights, they even had Irish dancers! Everyone was so friendly and having a great time. It’s really what made us love Dublin. The Fish & Chips at Leo Burdock is second to none! Seriously, the best we’ve ever had. They’ve been around for over 100 years, so they know what they’re doing. 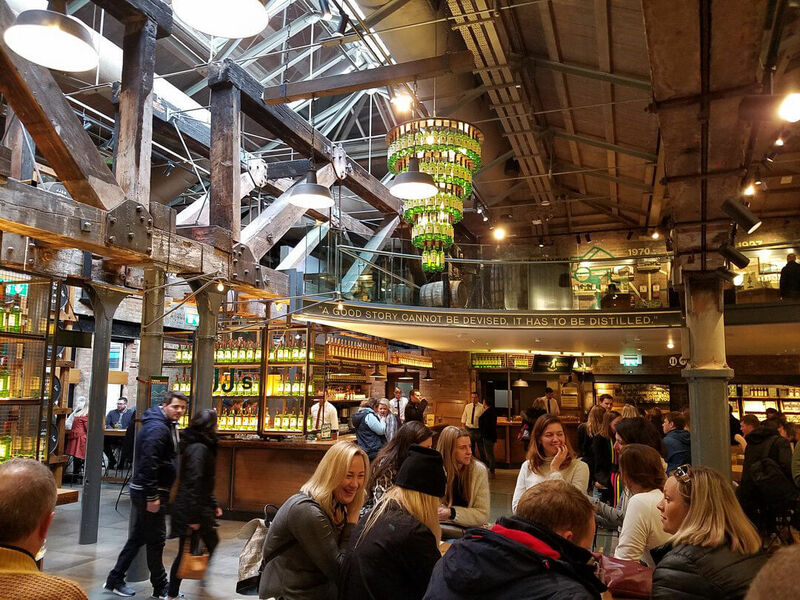 It’s one of the most famous restaurants in Dublin and is the favorite of several celebrities, including Bruce Springsteen, Anthony Bourdain and Conor McGregor. 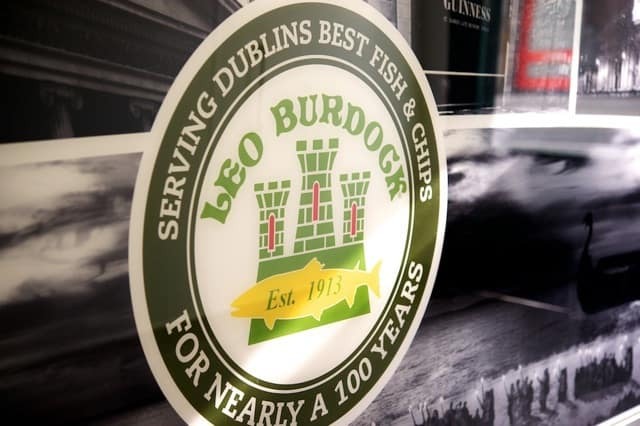 There are several Leo Burdock locations around Dublin. We went to the original, located walking distance from the Christchurch Cathedral. This location is take out only, but they do have a few other locations where you can dine in. Try them out. You’ll be glad you did. Having just opened in 2015, Teeling Whiskey is rather new, but the tour of their facility is fantastic. 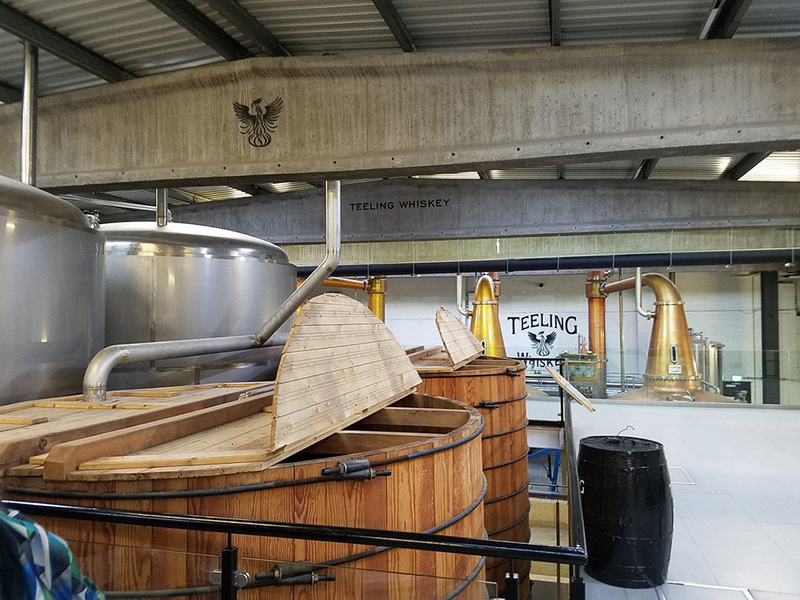 Unlike Jameson, which no longer produces their whiskey in Dublin, the Teeling facility is fully operational. It’s actually the first new whiskey distillery to open in Dublin in 125 years. On the tour, you get to see the actual stills they use and learn all about their whiskey making process. At the end of the tour comes the best part, the taste test! We found all of the selections to be quite good. 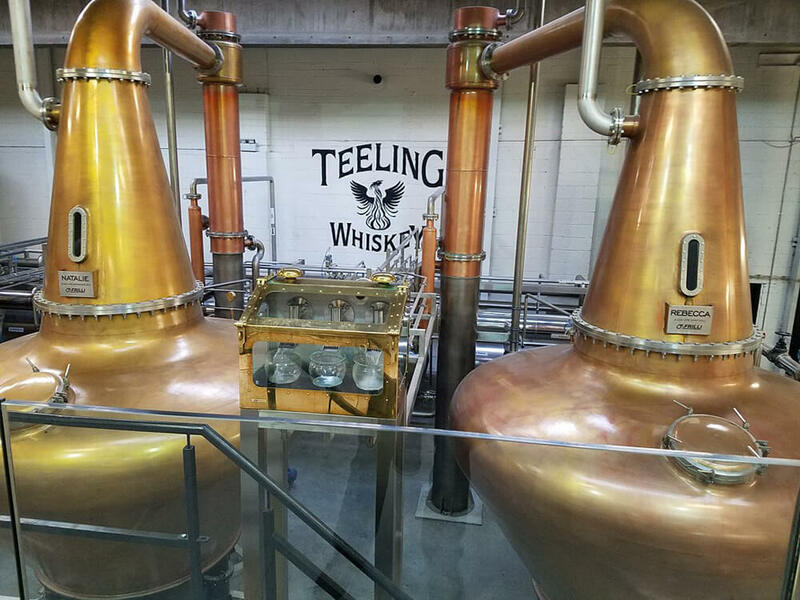 While they may not be as well known as some of the big names, Teeling is definitely worth checking out. 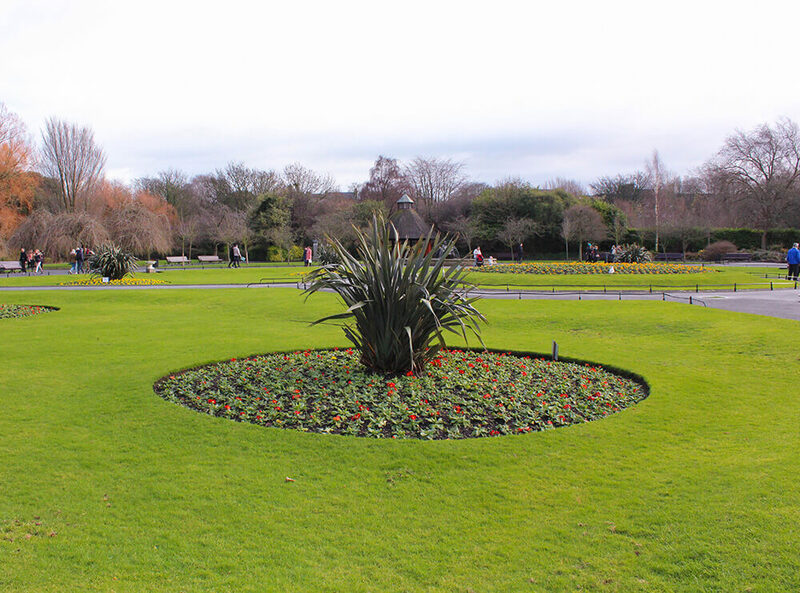 Merrion Square is a lovely park on the southside of Dublin with a rich history. Now mainly used as office space, the brick townhouses lining the square used to be the residences of the wealthy and famous, including poet Oscar Wilde. 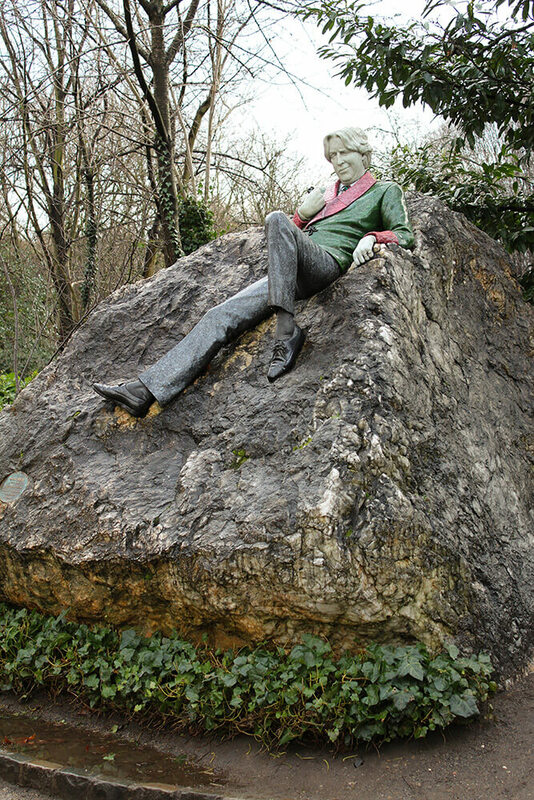 Look out for the statue of him reclining on a rock, close to where his home was. The park is filled with beautiful gardens and fountains, making it a great place to get some nice photos. On Sundays, local artists display their work for sale. We really enjoyed walking around and taking in the sights. We didn’t know what a boxty was until we went to Ireland. Basically, it’s a potato pancake with filling in it, and Gallagher’s Boxty House in Temple Bar has some of the best you’ll ever eat. 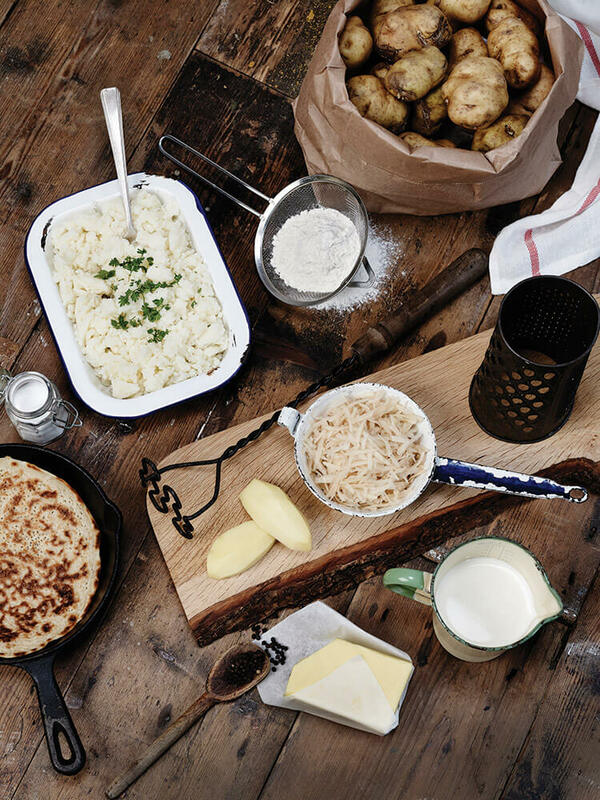 Pádraic Óg Gallagher is recognized as an expert on the potato and has been using it in his delicious recipes for over 25 years. The food here was traditional Irish cuisine and simply delicious, and the atmosphere was warm and cozy. We got lucky and were sat immediately, but by the time we left, there was a long wait for a table. Reservations aren’t required, but this place is small and gets busy, so consider making them, especially if you have a big party. You’ll want to eat here! 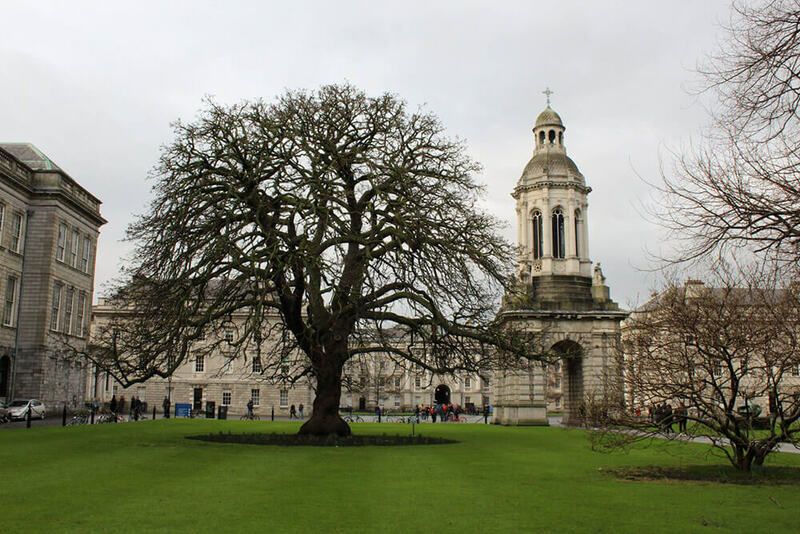 The historic Trinity College campus is located in the heart of Dublin’s City Center and is another architectural beauty. Their library is home to the Book of Kells, an illuminated manuscript gospel book believed to have been written in 800 AD. This impressive campus was founded in 1592. 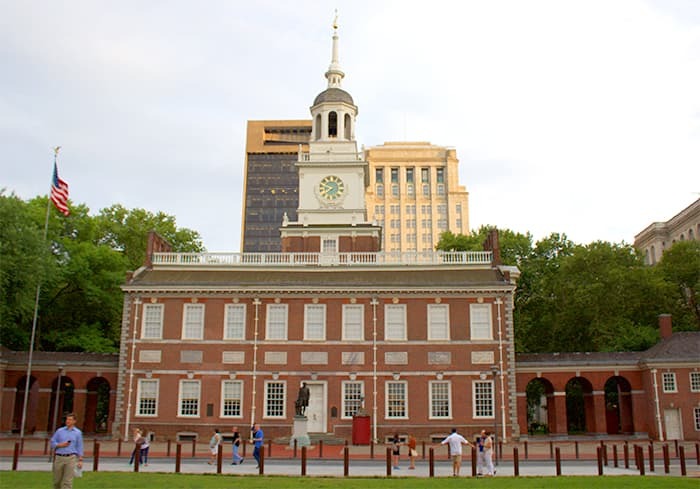 Coming from the United States, it’s neat to see buildings that are several hundred years older than our entire country! 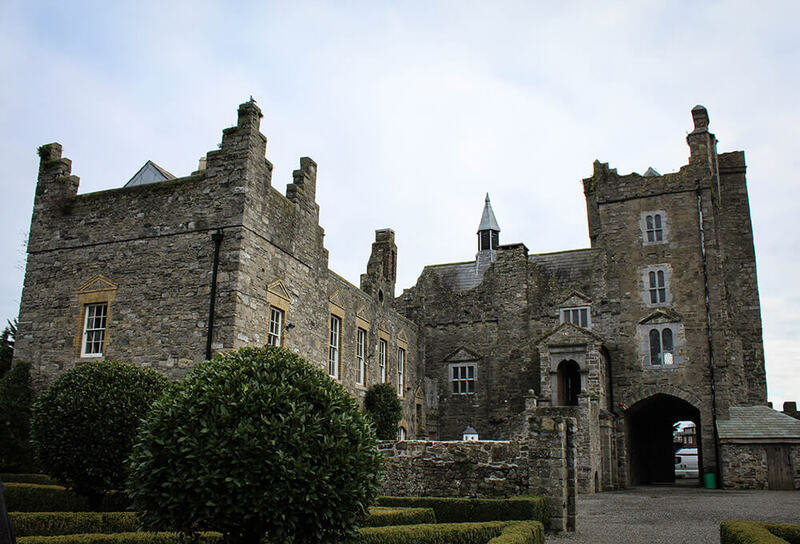 Drimnagh Castle is technically outside of Dublin, but it’s a pretty short taxi ride and definitely worth seeing. It’s the only remaining castle in Ireland with a flooded moat surrounding it. 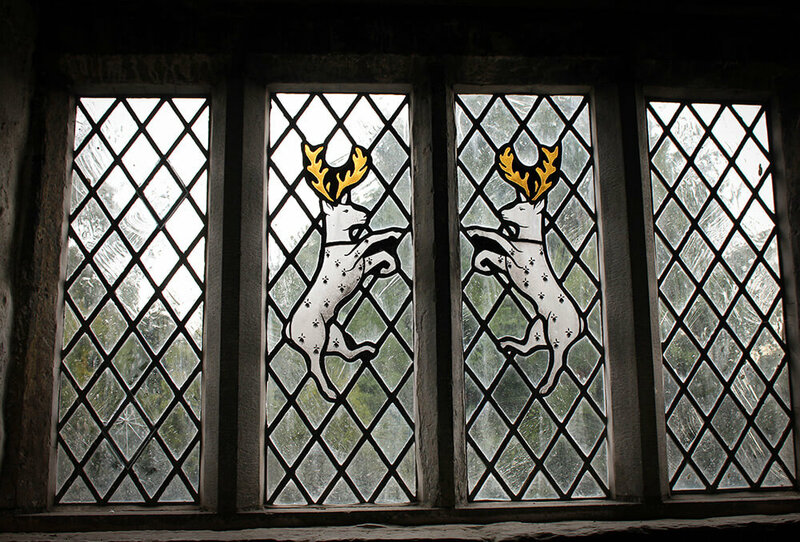 The castle became abandoned in the 1960’s until 1985, when a team worked to restore it to its former glory. We went to the castle in the early afternoon and were lucky enough to be the only ones there. Our tour guide, named Denise, was fantastic and told us all about the incredible history of the castle and the restoration project, answered all of our questions and even took several pictures for us. 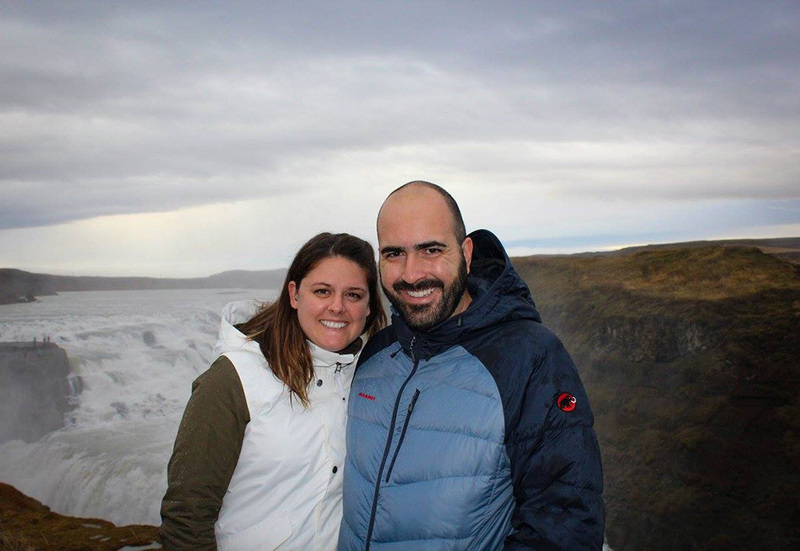 The tour was one of the highlights of our trip and definitely something worth checking out. There’s a lot more to do in Dublin than just party. 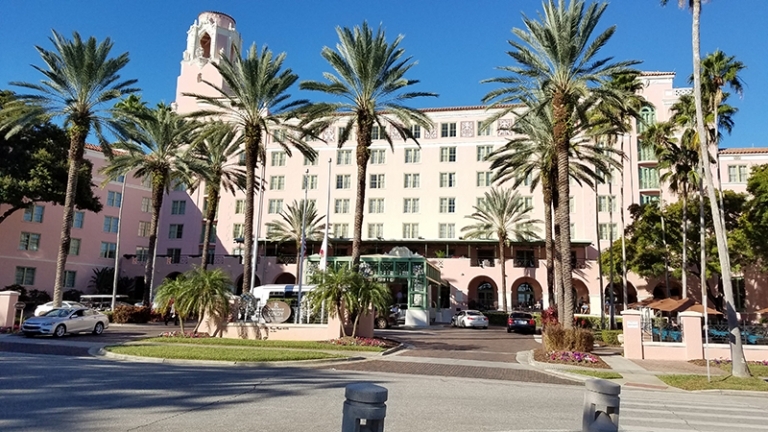 The city has a unique, interesting history that can be enjoyed by anyone. 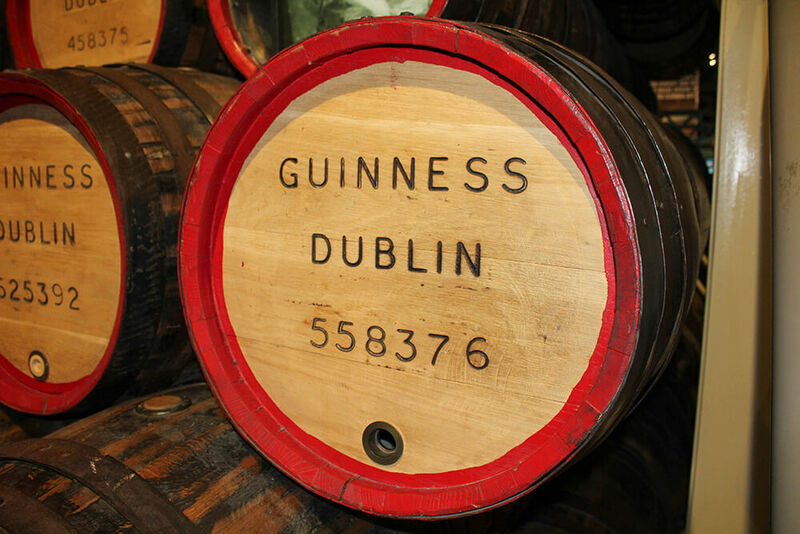 Our essential guide to Dublin gives you our 12 must do’s for an awesome experience!